ST. MARY'S COUNTY, MD -- An eager beaver decided to leave its dam and get a head start on Christmas shopping. As he perused through trees and decorations, someone called the cops on this furry shopper. The Saint Mary's County Sheriff's office posted these photos on Twitter. 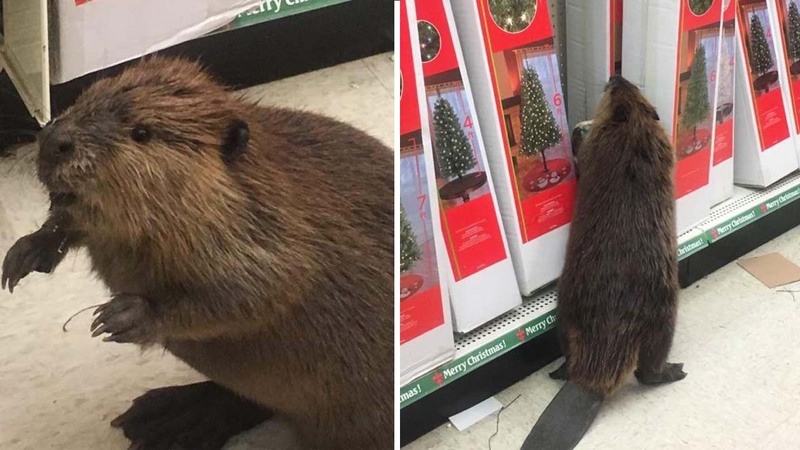 They show the beaver damaging some holiday items at a dollar store. Officials say the beaver tried to make a run for it, but was safely "apprehended" by Animal Control and released to a wildlife rehabilitation center.